BAP Pharma is a sourcer and wholesale distributor of comparator drugs for clinical trials across the globe. 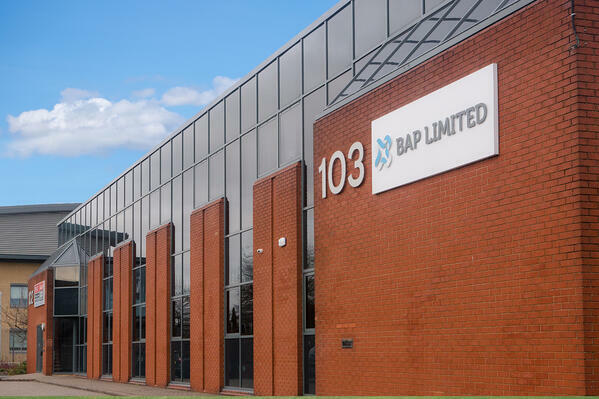 As one of the fastest-growing companies in the United Kingdom, BAP quickly outstripped its manual paper-based quality system and implemented EQMS by Qualsys. We interviewed Sajeevan Nirmalananthan, Head of Quality & Responsible Person, about BAP Pharma's electronic quality management project. Qualsys: Why did BAP Pharma begin looking for an electronic quality solution? Saj: We've been operating under a manual quality system since the beginning of BAP Pharma, which obviously gets harder and harder to maintain as the company grows. When we had 5 or 6 people, managing a paper-based system was easy to do. Whereas now, having doubled the amount of staff and expanding into the US and Germany, moving to an electronic system was one of the most important steps forward for us. As a pharmaceutical company, we get a large number of audits from regulatory authorities, for our ISO standards, and from our clients as well. Our clients expect us to operate at the highest standards possible and some of them specifically stated that to support our growth, it was recommended to move to an electronic system rather than a paper-based system. Qualsys: There are plenty of quality software providers on the market. How did you choose a vendor, and why us? Saj: I started by searching for suppliers and there are a number out there. I narrowed it down to 4 or 5, then we started our due diligence activities. As part of our internal procedures for supplier qualification, we look at the background of potential suppliers, their credentials, the user-friendliness of their systems, and so on. Based on that, I shortlisted two suppliers - one of which was Qualsys. After that, choosing one vendor to work with was one of the most difficult parts of the process. The two suppliers in the picture were both pretty strong candidates, but the most important part we looked at was what service was being offered to BAP Pharma. The way the software package was structured across the two companies was vastly different in one area: one supplier was charging for individual licences, Qualsys was not. So one to ten end users was one fee, ten to twenty was a bit more, and so on. With Qualsys, administrators were charged but the end users, regardless of number, were not charged. So I shortlisted all the financial criteria and sat down with our Finance Manager to put together a 5-year cost analysis. Qualsys came out on top, not just because financially we would be in a better position in 5 years' time, but also because the licencing was more straightforward and easy to understand. So even if we bring a new site like Germany into the picture and want to add users there, they automatically gain access to the new system. We agreed that Qualsys would offer the more suitable solution, short-term and long-term. And because the system was user-friendly and easy to understand, we thought it would make implementation simpler as well. Qualsys: You started with Document Manager as your first module. How does it support pharmaceutical quality management for you? Saj: Document Manager is a crucial component within the electronic quality system. It's almost what I would call the top level of the pyramid. That was possible when everyone is sitting in an open-plan environment, but when it comes to approval from someone off-site like our US office or our off-site QP, getting signatures was impossible. I had to post it to them, then they'd have to post it back. So you can imagine the time it was taking to get a simple approval done. 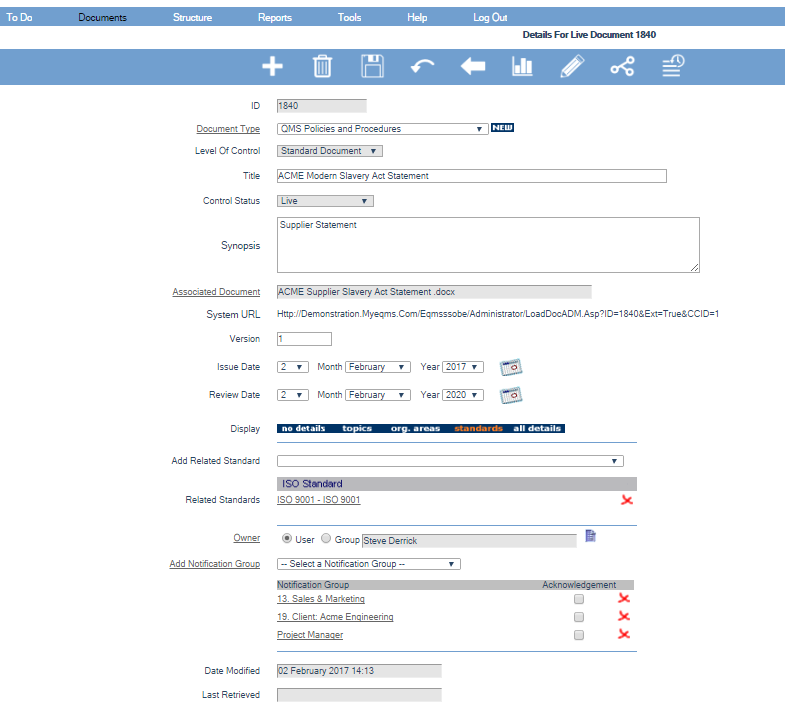 With Document Manager now, I can go and update an SOP and send it for review instantly, anywhere in BAP Pharma or outside. I tested this after launch when I had to update an SOP: it took me a few minutes to update, set up the review cycle and send to our QP who was based in Holland at the time. He was able to approve the SOP within the assigned timeframe from abroad. That wouldn't have been possible with a manual system. So all of a sudden, I've now got a system that enables me to not worry too much about the administrative tasks, because the system is handling that well by itself, and get SOPs and other documents approved instantly. You can imagine the time it was taking to get a simple approval done. 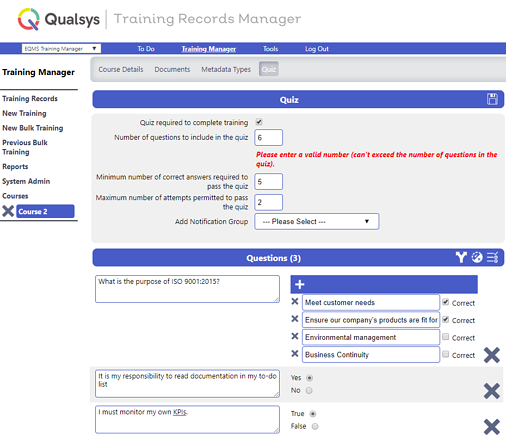 Qualsys: How is Training Manager being used at BAP? Saj: Training Manager is even better, to be honest. Because when we had manual paperwork, I had to physically assign a training period every time a new SOP was approved. I had to manually prepare training sheets then take them round to read and sign. That was taking a lot of time and often an SOP would have already been launched at one site before another could sign it. That was causing us problems in audits - I'd have to explain to auditors why an SOP went live on one date, but would be signed a day after at a different site. Now with Training Manager, as soon as an SOP is approved and waiting to go live, I'm able to go and set up a 'read and understand' section within the module, as well as a quiz which validates their reading process. 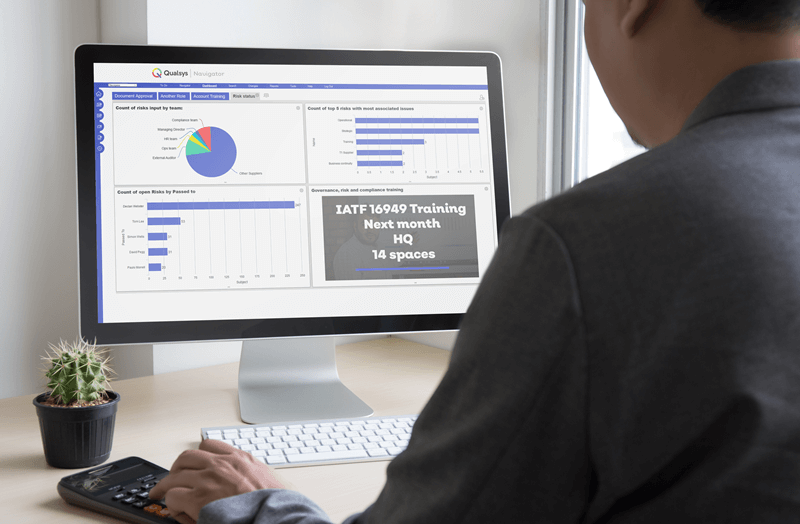 Everyone, regardless of where they're based, receives their training at the same time - which means they can complete their training within the timeframe. No SOP can go live now before people are trained, because I'm in control. And I can see everything sitting at my desk, rather than having to go through reams of folders out to see who's been trained. Qualsys: How have you applied Issue Manager? Saj: When we did the configuration for Issue Manager, we expanded it into different sections: deviation, CAPA, change control and complaints. So these are individual 'sub-modules' within Issue Manager for us. Documenting a change control or a deviation is much harder to manage on paper because the forms have to be tightly controlled. Writing your investigations is one thing - controlling what you've written is very difficult. Room for errors was very high because someone could enter the wrong date as they were typing. It was difficult to control. Everyone, regardless of where they're based, receives their training at the same time. And I can see everything sitting at my desk. With an electronic system, everything is audit-trailed, everything is time-stamped. You complete a form in real time and save it in real time. That eliminates a high risk factor from our quality system principles. Now it's extremely simple to follow a workflow in Issue Manager. Before, everything had to be structured around manual checks - now I can see from my desk when my deviations and change controls are set to expire. I can control everything in a far more robust way and it's much simpler to use now than it was before. Qualsys: How are you controlling risk as you operate in such a tightly regulated environment? Saj: Quality risk management is a hot topic within the MHRA and it's a high-level regulatory requirement within EU regulations as well. If you look in any good manufacturing practice or good distribution practice guidelines, quality risk management is paramount. Previously we had a set of manual forms for assessing risks, scoring them, and identifying high, middle and low risks. That all went into a manual Excel spreadsheet which was our risk register for the site. Every time we treated a risk, we'd re-assess and change the risk score. With Risk Manager, it's great in that you start with a colour-coded RAG risk score. As you build a CAPA process, you can apply it to multiple risks at once and watch their score come down - so you're not repeating the whole process, you're just adding more controls. It's extremely visible on your screen and you can track your KPIs within EQMS to watch the risk numbers come down. That's a very visual way of showing that you're acting on your risks. 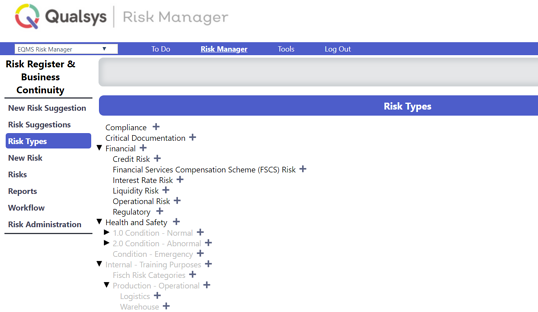 Risk Manager is an extremely visual tool for the site and I don't have to be on-site to check up on risks. You have to keep an eye on your risks all the time, and being able to do that out-of-hours is only possible with Risk Manager. Quality risk management is a hot topic within the MHRA and it's a high-level regulatory requirement within EU regulations as well. Being able to do that out-of-hours is only possible with Risk Manager. Qualsys: As a global sourcer of comparator drugs, how do you keep an eye on your supply chain as well? Saj: The other module we have implemented is Supplier Manager. Supplier Manager is a very important part of the BAP Group because we source medicinal products from around the world. When you buy medicines from a manufacturing site, your risk is low. But from an open market or a wholesaler, your risk is higher. So you have to perform due diligence activities for every supplier, regardless of their size or how much medicine they're providing. 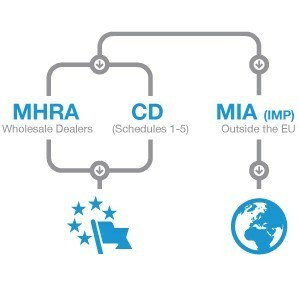 As part of that, we work closely with the MHRA regulators and the European Medicines Agency - there are high-risk products and high-risk countries where falsified medicines might enter the market. We don't want to put our clients at risk so we have to qualify our suppliers before we work with them. Before, we had a physical file for each supplier which I had to go through every few months to make sure they were still current, their licences were in-date, and so on. That meant physically logging into a spreadsheet to keep checking when it was time for review. Supplier Manager has taken everything by storm in the sense that I can now ignore my suppliers, and the supplier will remind me when it's time for a review. That's a massive time-saver for BAP. We used to spend hours in a day looking at suppliers and I was allocating time for supplier management. Now I can just not worry about it. I get an email trigger or a reminder when I log into EQMS about a supplier approaching their review period. And depending on the criticality of the supplier, we can have different review periods set up - so a product supplier will have a shorter period and be reviewed more often. We have about 40 or 50 suppliers at the moment but I don't have to worry about them because the system will remind me. So it's been an extremely time-saving, powerful tool for us, especially considering that supplier management is such a complex topic within BAP. Qualsys: Has EQMS made managing quality at BAP Pharma easier? Less stressful, maybe? It was stressful with a manual system. Managing the administration was quite tedious, as I mentioned earlier. Since we launched EQMS, I am able to not worry too much about the quality system. It's almost like a second person sitting next to me - that's how I see EQMS. Supplier Manager has taken everything by storm in the sense that I can now ignore my suppliers, and the system will remind me when it's time for a review. That's a massive time-saver for BAP. I'm spending less time on the administration part of my job and more time on the important projects I should be getting on with. It's given me so much more time to focus on the bigger stuff and not worry too much about the smaller things, which are very well managed by EQMS. I can't wait to get Audit Manager and Equipment Manager launched as well. As soon as that comes on board, we are fully 'EQMSed' within BAP Pharma. It was stressful with a manual system. Qualsys: What would you say has changed since you went live with us? 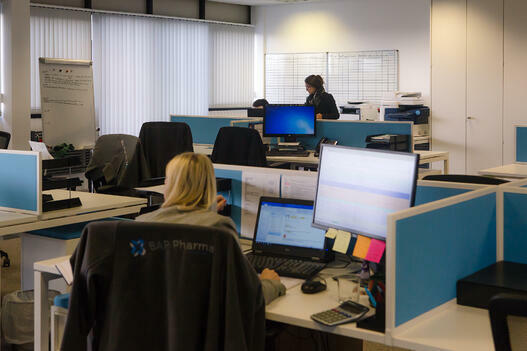 Saj: EQMS has definitely helped BAP Pharma move in the right direction. It's a step up from where we were a year ago. We can actually now face our clients in an audit situation confidently and be able to say to them that we are not one of those small companies just trying to cut corners by keeping everything cost-effective and paper-based. We are advancing ourselves using modern technology. We are moving forward in the right direction, and we are serious as a company. The message we also want to give to our clients is that we listen to them. They recommended that we consider an electronic system, and we did. They were extremely pleased. They looked through our documentation, how we validated EQMS, the modules themselves, and they were quite excited to see how the system was operating. BAP wants to grow and we are growing constantly, and being in partnership with Qualsys who provided a great solution like EQMS has actually made us stand out amongst our competitors. We have a system, we have the modules, and we're looking into the future and continuously improving. We can now face our clients in an audit situation confidently and be able to say to them that we are not one of those small companies just trying to cut corners. We are advancing ourselves using modern technology. We are serious as a company. Any upcoming solutions offered by Qualsys will definitely be considered by BAP Pharma as we move forward. We're using a phased approach from now in that we're launching module-by-module, but we actually launched five modules in one go which was a challenge in itself. But with the help of Qualsys, that was made feasible. Without our implementation manager, it would've been very difficult for BAP Pharma among all the other projects we were working on. We look forward to working with Qualsys because I think it'll be a strong partnership for future growth and showing that we mean business. I cannot emphasise enough how I feel about EQMS being with BAP Pharma. Getting EQMS itself was a challenge, trying to justify the cost - because the management team was very reluctant to start with. When the approval came, I was over the moon and started working and eventually selected an exceptional supplier like Qualsys. To this date, although we are still phasing into EQMS slowly, I see absolutely no problem moving forward. The system is user-friendly, the implementation, configuration planning and validation were extremely well-supported by Qualsys, and the time they've spent on this project and the dedication shown by the staff is unbelievable. In fact there were times when I was too busy and I still had calls with Qualsys, who helped me concentrate and made me pull through to hit our deadlines. They were very adaptive in that they were able to fit to my timeline, rather than the other way around. In terms of face-to-face meetings, telephone meetings, the flexibility was unbelievable. Without the support from Qualsys, I wouldn't have been able to deliver all five modules in one piece at BAP Pharma and support our global operations. Struggling to get buy-in for a tech investment? Try our free business case toolkit to kick-start your quality management software project.